It’s our end of year special. DVNT hosts a special extended 3 hour Mantis Radio transmission squeezing in most of his favourite tracks, artists and albums from 2017. There was a huge amount of awesome musics and sounds that surfaced in 2017, and as such, it’s taken longer than planned to get this show together. Going back, compiling lists, and then getting lost in all those tracks all over again. This is why it’s dropping now and not 2 weeks ago as intended. But, better late than never. Across this special extended 3 hour edition are 53 tracks from my favourite releases of last year. There are a few that I either couldn’t fit in, or just clear forgot about until it I had finished recording – and that was after I went back and added a further 30 minutes to the show. 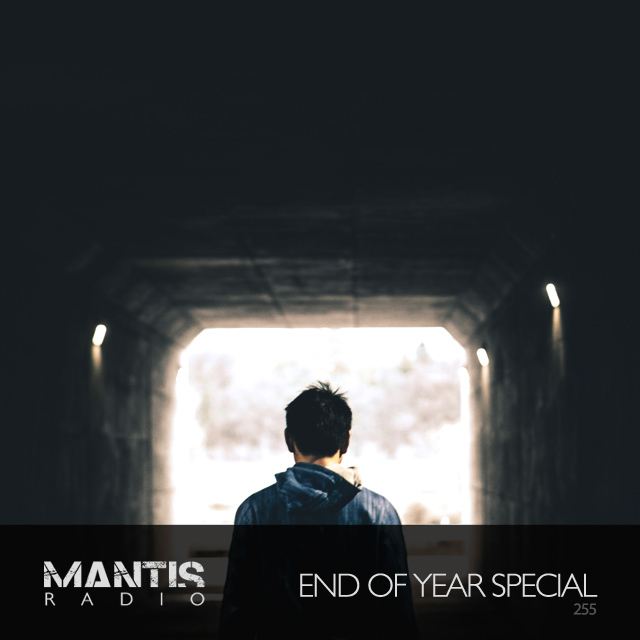 As with every other Mantis Radio – this is a selection of music that is personal to me, that I feel is among the best that came out last year. Hopefully you’ll be reminded of some tracks you heard, some you missed, and discover some new ones along the way. To all of my guests in 2017, and to everyone who tuned in – thank you. I’m taking a few weeks off from broadcasting the show but will return at the beginning of February at full throttle. We are Mantis Radio. We are Darkfloor.